Why attend the April 8-10, 2014 Humus Advantage Composting Workshop? Typically one signs up for a workshop to learn how to do something. If you signed-up for the Humus Advantage Composting Workshop April 8-10, 2014 in Tampico, IL, odds are it was because you wanted to learn how to make high quality humus compost. If so, you made a good decision because you will learn the theory and practice of the Aeromaster Composting System, the production methodology developed and refined by Midwest Bio-Systems over the last 20 years. The nuts and bolts of making high quality compost will be covered in PowerPoint as well as in multiple visits to the Midwest Bio-Systems Research and Development compost facility. Topics covered in the workshop include the selection of materials to compost, how to develop a “recipe” for how much of each material to use, how to build windrows, turn windrows, test windrows, combine windrows, and what to look for during each week of the composting process. Sometimes things do not always go as planned so a portion of the Workshop is spent on troubleshooting potential problems and the best solution for solving the problem. At the end of the workshop you may wish you had less information rather than more. Getting into composting can be a significant financial commitment. Being able to see and touch the pieces of equipment you will likely need in your composting operation is a good reason, in and of itself, to attend the workshop. Seeing the equipment operate in a composting environment shows firsthand what equipment you need and why it is needed, increasing your comfort level with the investment needed to start making compost. There is a lot of learning that takes place simply by being present at the workshop, talking with other attendees, many of whom are already composting, can add real world insight to what is involved in the start-up and operation of a composting business. Listening to the questions other attendees ask and the answers they receive, adds another dimension to the learning experience. In terms of questions, the Humus Advantage Workshop is a perfect place for you to get all of your questions about making, using, and selling compost answered. 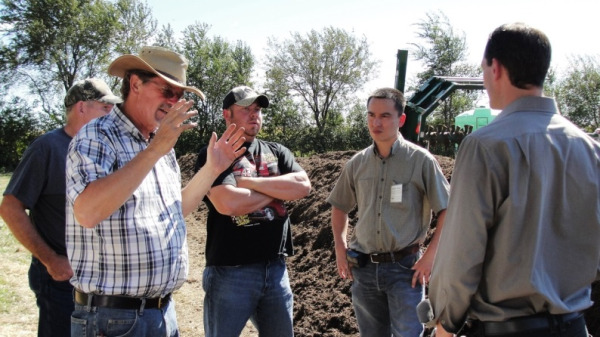 The instructors selected to teach the Humus Advantage Workshop have an in depth knowledge of all phases of the composting process as well as the practical experience of running composting operations. Learning from people with real world experience makes the Humus Advantage workshop experience relevant and valuable. There's still time to join us. Get more details here.